In the early aughts I had a job running education programs at the Lower East Side Ecology Center. I was tasked with interpreting the East River ecosystem, a tidal strait within the NY/NJ Harbor Estuary, for city kids and passersby on the East River Park Esplanade. 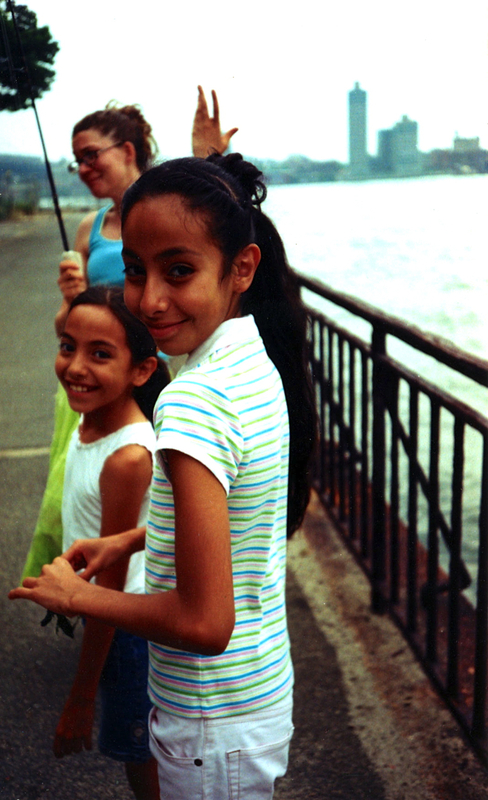 Me and the Berthos girls fishing on the East River, circa 2004. It was a great job. GREAT. And I wanted to keep it. So I went diligently searching for any foundational literature, research historic or ongoing, existing curricula, anything about the East River that I could base my programs on. I was petrified when I found…nothing. For the East River, the only flora and fauna that people seemed to write about were of the forensic variety. Only its sullied reputation preceded it. I heard about one guy down at Pace University, who had been doing water and plankton sampling on a weekly basis “since 1989 or so” from the South Street Seaport. It was technically the Upper Harbor, but it would have to do. So I cold called Dr. Michael Levandowsky, and he was kind enough to take me along. He introduced me to the supreme scientific instrument, the Bucket on a Rope. (I went on to require all my classes to repeat after me in unison, “YOU DON’T. LET GO. OF THE ROPE!”) He also showed me the Winkler titration method for measuring Dissolved Oxygen, how to assess salinity with a refractometer, and how to run a plankton tow. 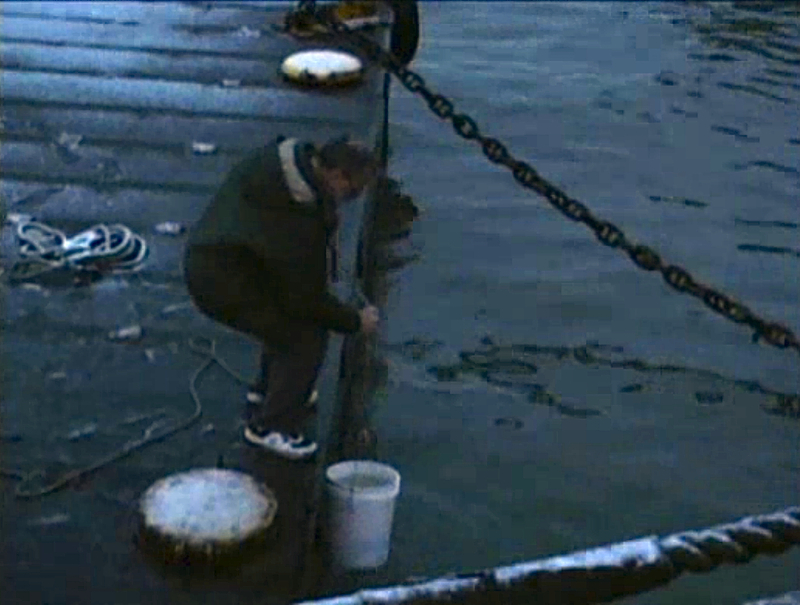 Michael Levandowsky wielding a Bucket on a Rope in The Water Underground video, from Center for Urban Pedagogy. So when I returned to thinking and writing about plankton a decade later, I thought I would check in with Dr. Levandowsky. Again he was kind enough to take me along. 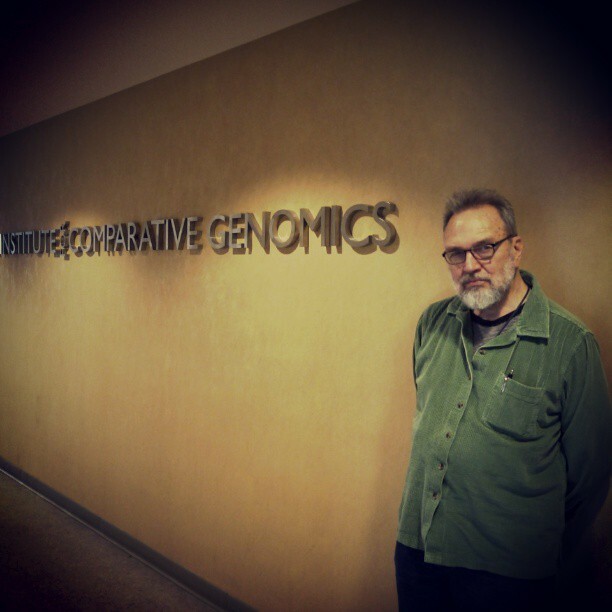 Michael Levandowsky at the Sackler Institute of Comparative Genomics. Today he is working, among other places, uptown at the American Museum of Natural History, in the Sackler Institute of Comparative Genomics, where he smashes his poor plankton samples into a slurry of genetic information and runs them into gels that he can read with greater accuracy than the method he’s used for most of his career (morphological identification through a microscope). On his bench were samples from all over the world, and in the lab were an international crew of colleagues studying various aspects of planktonic – and other – life. You are currently reading plankton friends at plankton every day.